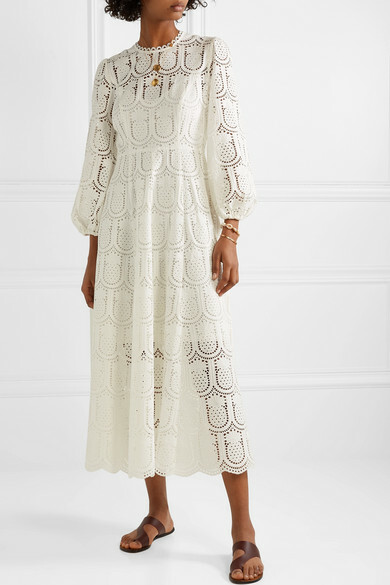 We fell in love with Zimmermann's 'Wayfarer' dress the minute we saw it in the label's Resort '19 campaign video, which featured models wandering along the pebbled beaches of Cassis, France or sunbathing on yacht decks. 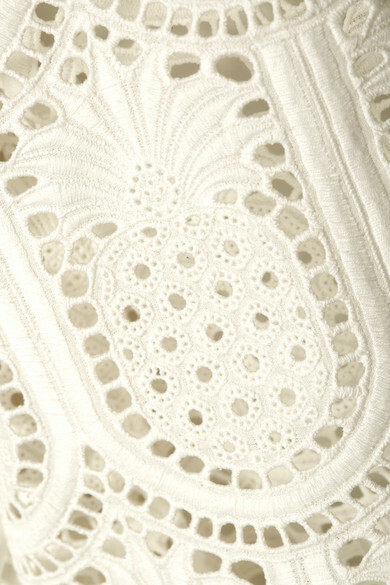 This airy broderie anglaise cotton style is woven with a fun pineapple motif and finished with pretty scalloped trims. Remove the stretch-jersey slip to wear yours as a sheer coverup over a bikini. 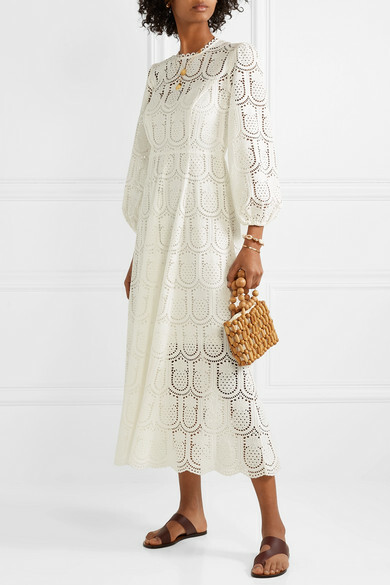 Shown here with: Cult Gaia Tote, ATP Atelier Sandals, Alighieri Necklace, Alighieri Necklace, Chan Luu Cuff, Tohum Bracelet, Sophie Buhai Earrings.